Competition gallery and results table are now up to date with the November meeting competition, including the Wattisham-Anker Trophy, this year won by Chris McKee with his SMW Gold medal winning 1:48 scale Westland Wessex HC.2, 28 Sqn, RAF more photos here. 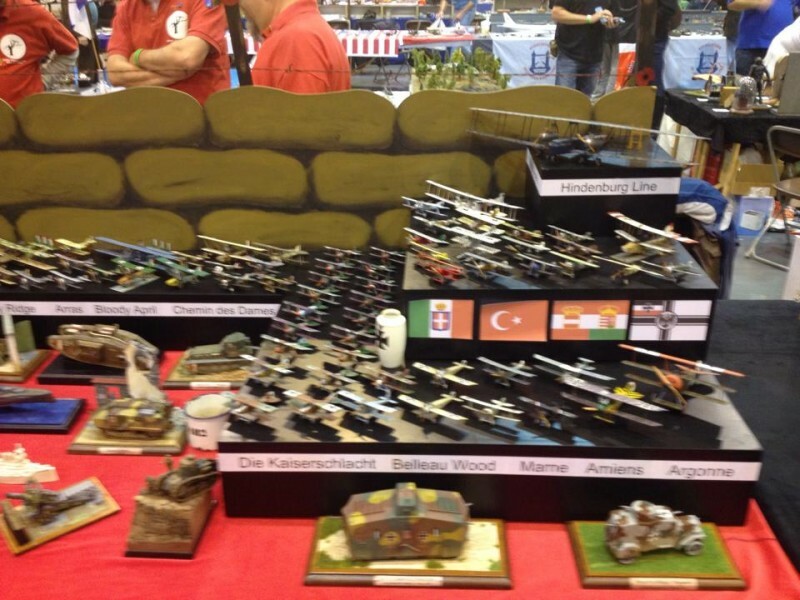 Scale Model World has just happened and the Farnborough table was something to behold! Here it is with a few mugs behind it. Eric and JC are behind the sandbags! The display base was built by Stewart and Mark with help from Pete, Nic and Otto, with JC coming up with the design and layout. 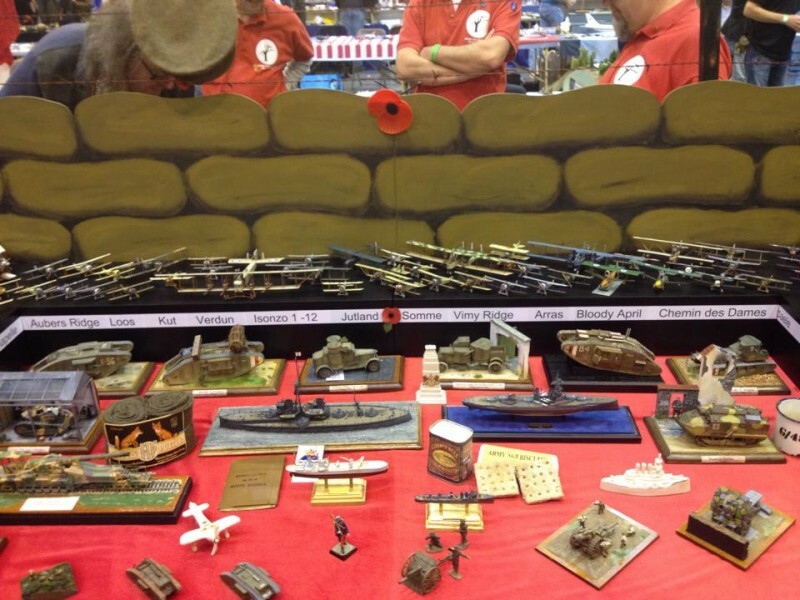 The models on display were contributed by Nic, Otto, Mark Warboys, Julian Edwards, Chris Shepherd, Chris McKee, Allan Simpson, Pete Redman and Andrew Prentis. 11th October was the inaugural "Tank Mod" show at Bovington Tank Museum. After a stormy, wet and ridiculously early start, the IPMS Farnborough table was located just outside the Afghanistan exhibit, which seemed appropriate seeing as how there was a bar-armoured Scimitar in the exhibit and a model of it on the table! Talking to one of the organisers afterwards, they had about 1000 people through the doors on the day, compared to the same weekend last year which was just a normal day of about 300, so they reckoned it a success. The view from the stand pic below shows IPMS Salisbury on the right with Newbury on the left and North Sommerset in the distance, so lots of familiar faces! 4th October saw the club represented at IPMS Abingdon show and we managed to bag the trophy for best club display! I've started extending the site history back before 2011. The first result of this is the 2010 Competitions page. As yet I have only got the winner photos in place. At some point int he future I'll try to include the non-winners that were photographed as well, but this is a time consuming process as each entry has to be re-catalogued from the old pages. Competition gallery and results table are now up to date with the August competition. Otto was also there in full WW1 fig, showing off his big gun, which made a satisfyingly loud "pop"! and here is said gun! Competition gallery and results table are now up to date with the July competition. The club put on a display at Odiham Families Day on 21st June. A lovely sunny day and lots of interested visitors - plus cakes! Competition gallery and results table are now up to date with the June competition. IPMS Sailisbury is always a popular show and this year was the last weekend in May. With a large turnout by Farnborough, the table was heaving with models, and in particualar, the Farnborough Phantom Tribute gained a lot of admiters. Not only that, but the banners were stright! Competition gallery and results table are now up to date with the May competition. 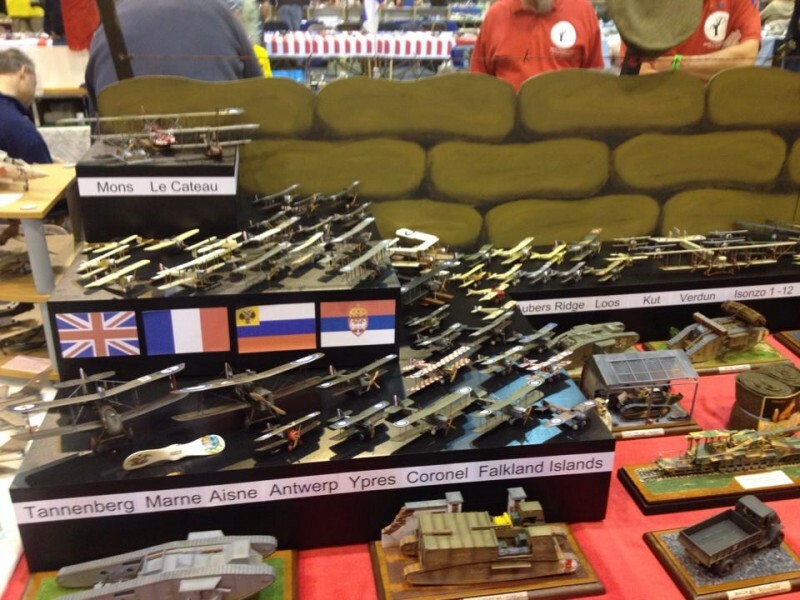 Second weekend in May was the IPMS Barnet show at RAF Hendon. Eric, JC and myself contributed models to the table and Eric contributed the wonkey banner. It was quite busy, busier than last year and we were in roughly the same place as last year. The promised Lancaster flypast didn't happen because of low clouds. Next show will be Salisbury at the end of May. First off we'd like to wish two of our members, Allan and Dave, who have suffered ill health in the last month all the best for their recovery! Competition gallery and results table are now up to date with the April competition. 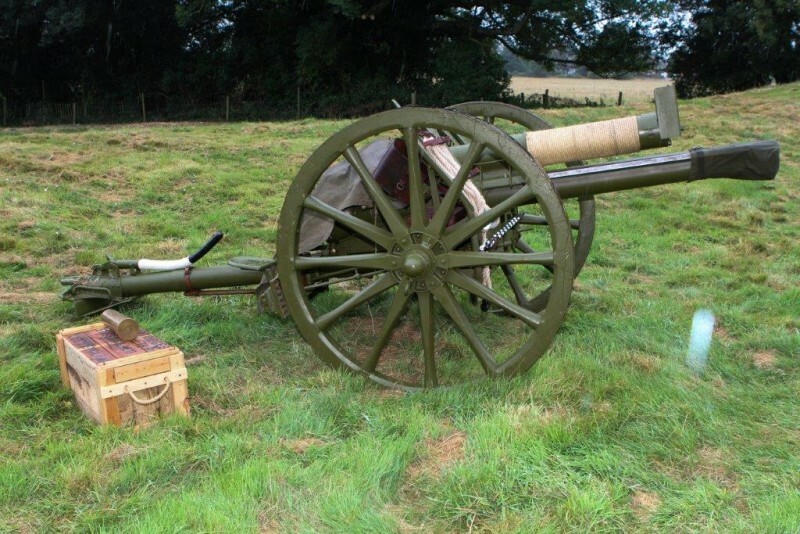 The first weekend of April saw a visit to the IPMS Shropshire show at RAF Cosford. Several cars went up on the Saturday to rendezvous at the International Hotel next to the Telford Exhibition centre. Saturday evening was a chance to scout out new places to eat for the Telford trip later in the year. New Chinese buffet was sampled and seemed to do the trick. Sunday was the show itself and was very well attneded by memebers of the public. This year our table was in a differnt location, under the Eurofighter protortype just inside the front entace to Hanger 2 so even more promintent than before. The table had a variety of subjects, although Iron man seemed to garner a fair deal of attention! Chris S needs a red shirt!! Competition gallery and results table are now up to date with the March competition. Pete Harris won the Members Trophy this month for his 120mm scale figure called "Private Dingo Harris, Australian Commando, Bougainville"
January club night is always one of the highlights of the IPMS Farnborough year featuring the ‘Model of the Year’ contest. This year 20+ models were entered, representing the very best work of the club members across all scales and classes. As ever, the competition was close and keenly contested and the eventual winner was Jim Potts with his 1:35 scale MAZ-537G Tank Transporter. Jim's model will represent the club in 2014's Scale Model World Club competition! You can see last years winner in the backgound!